Become a part of the Hoopoe Flock! 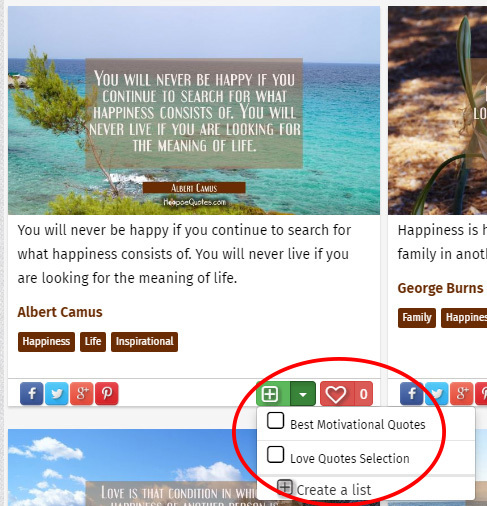 Get a free account to create your own Quote Lists and save your favorite quotes. 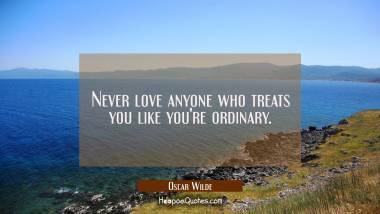 Favorite quotes you like with just one click! Explore all of your favorite quotes. 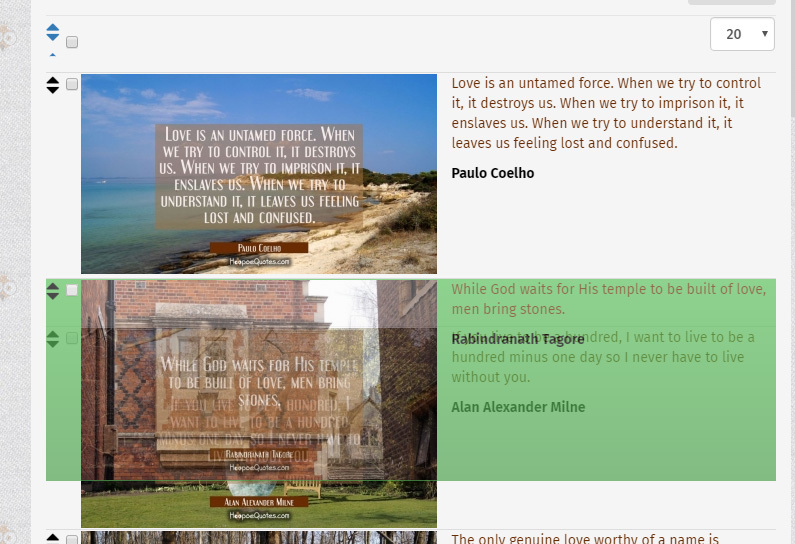 Create your own thematic quote lists. Set them to "private" or share them with the rest of the Hoopoe Flock. Access your Quote Lists and Favorites from all devices! 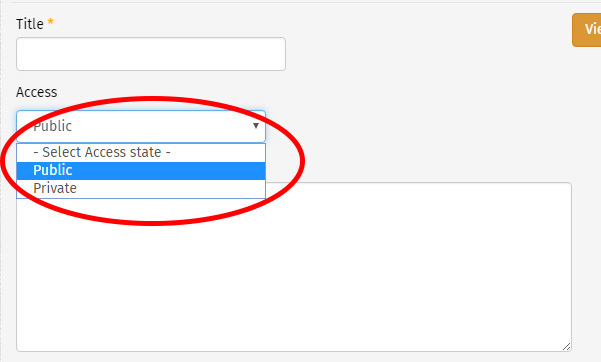 Access your Quotes lists from the My Account menu item. 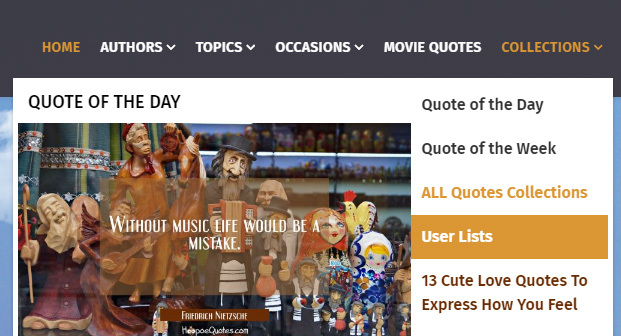 Here you can manage all your quotes lists. Create your own Quote List. Edit existing lists. View and reorganize quotes in the lists. Create a new quote list, give it a title, set its access level, describe your list - and you're good to go. You can make it accessible only for you, or you can set it to PUBLIC and share it with the rest of the Hoopoe Flock. Browse our quotes and easily add them to your Quote Lists, or favorite them - it's just one click away. Easily organize your lists - just drag quotes to rearrange their order in a list. Select "User Lists" menu item from the Collections submenu and browse Quote Lists by other Hoopoe Flock authors like yourself.